I'm back for another What I Ate Wednesday!!! I love being back on track with clean eating, thank you to the AdvoCare 24 Day Challenge. I am feeling better and honestly still not craving the sugar and fatty stuff like I thought I would (although I am not entirely sure that I will ever permanently give up coffee, that is the one thing I am missing and really cannot wait for!). 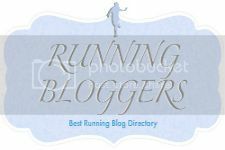 I am still in the thick of it with another week to go but going strong! 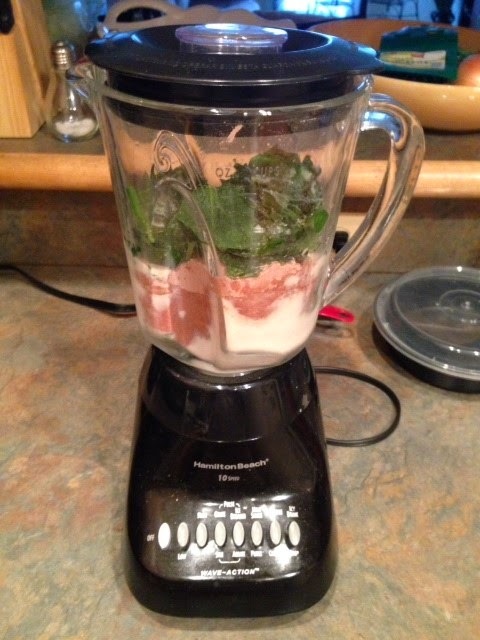 For breakfasts I have been doing the meal replacement shakes. I am kind of picky about my protein but this chocolate is pretty darn delicious I must admit. In a pinch I am just mixing with water in a shaker bottle - but mornings when I am home I have been mixing with frozen banana and spinach and chia seeds. Delicious! 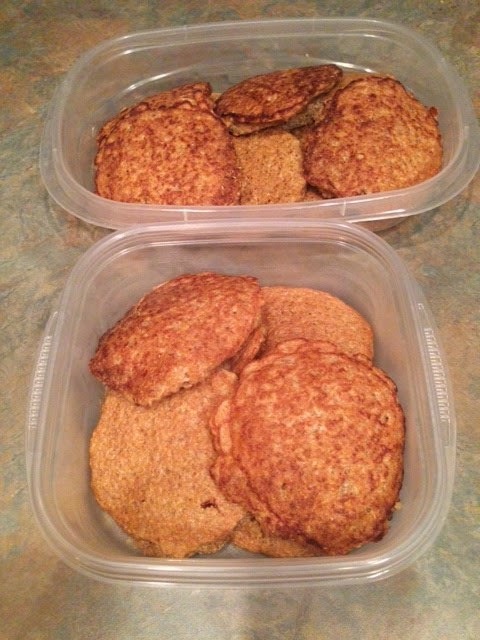 I also made a batch of the Fitnessista's quinoa pancakes - I had a ton of leftover quinoa I had prepped and do yourself a favor, make them. Simple, quick and nutritious! 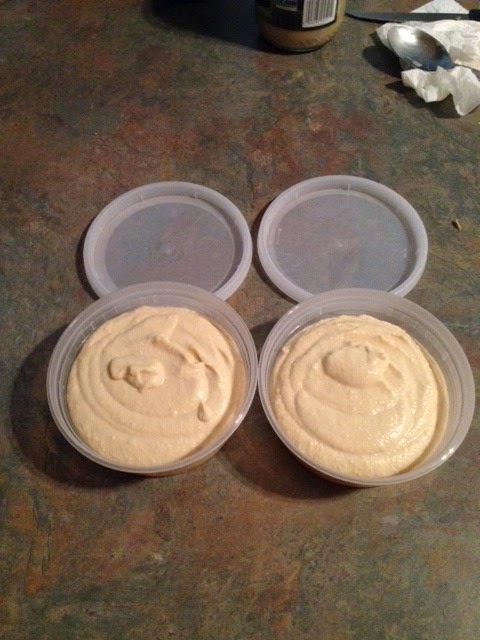 For snacks I finally made homemade hummus. What have I been doing buying this my whole life??? It is so simple to make, and such a money saver. I went a tad heavy on the garlic this round but it was still so so good. I have been eating rice cakes for snacks as well. 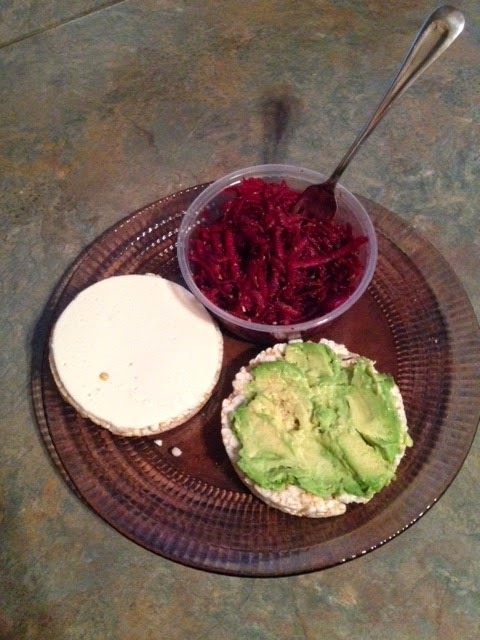 This combo - one with spicy mustard and daiya cheese, plus another with mashed avocado and sea salt, so tasty - and with a side of shredded beets. Yum! 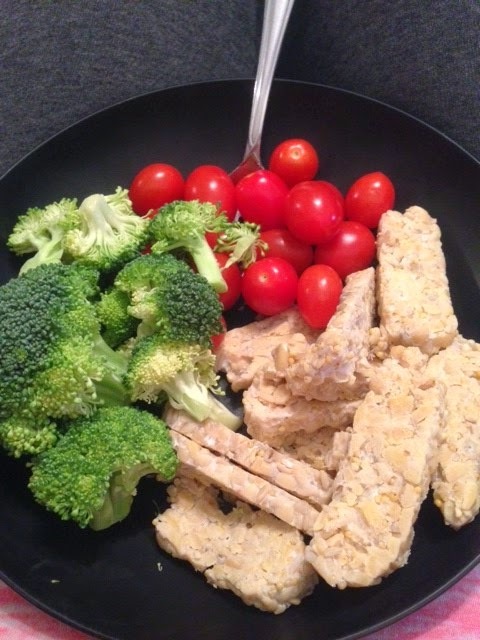 I have been eating tempeh a bit lately - I was feeling so lazy Sunday night and wound up just slicing up some 3 grain tempeh with a side of raw veggies. I like tempeh straight out the package, don't judge! 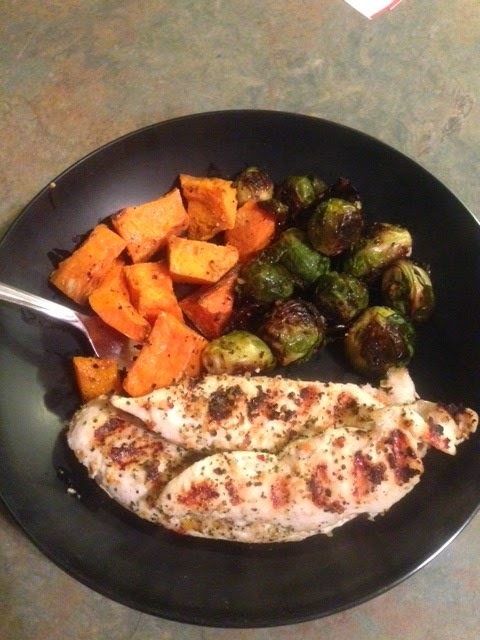 Then some quick grilled chicken (with Trader Joe's 21 seasoning salute - it is addictive) with a side of roasted brussel sprouts and butternut squash. I think some times the simpler the better. 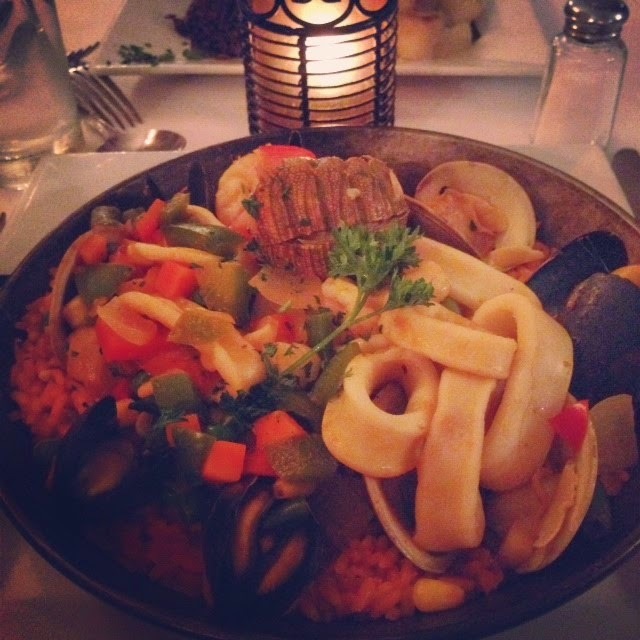 And of course can't forget my favorite date night this week - went to Guantanamera for some great Cuban food and live music, this paella was loaded with seafood and simple and delicious. And massive! Love me some seafood. 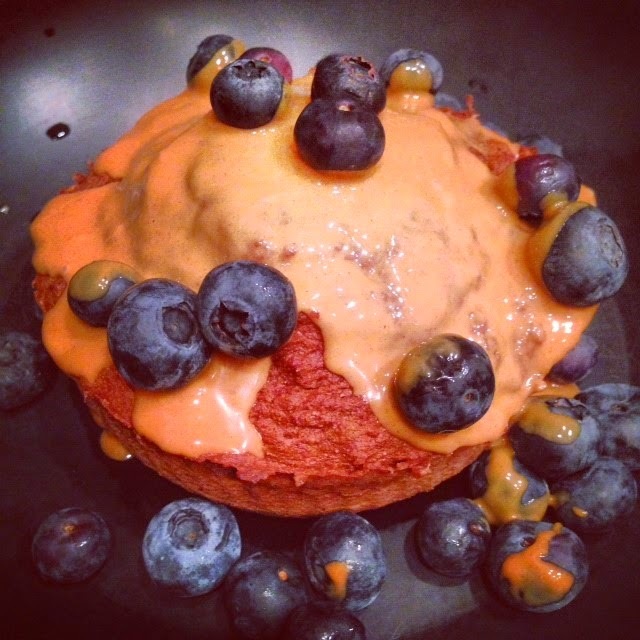 I have been really good about not eating after dinner, but Sunday was feeling snacky so whipped up this massive chocolate protein muffin in the microwave. I will share the recipe it is sooooo good. Topped with some peanut butter and berries, heaven. Totally hit the dessert craving I was having. And there we have it. So much good food and all my eating has been on point. That makes me happy! I would say that is a pretty darn good day of eats! I need to give the quinoa pancakes a try, I have been reading about them, and love them in everything else! I loooooveeee cuban food!